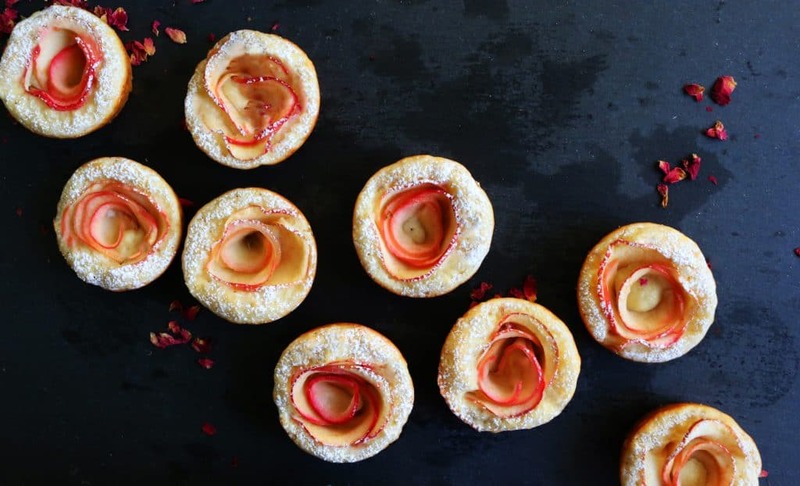 Pretty, fun pancakes baked in muffin cups with apple roses. Simple yet elegant for Valentines’ day or Mother’s day. Want to impress that special someone with an elegant breakfast? But, don’t like slaving over a hot stove? These cups are just the cutest thing ever. 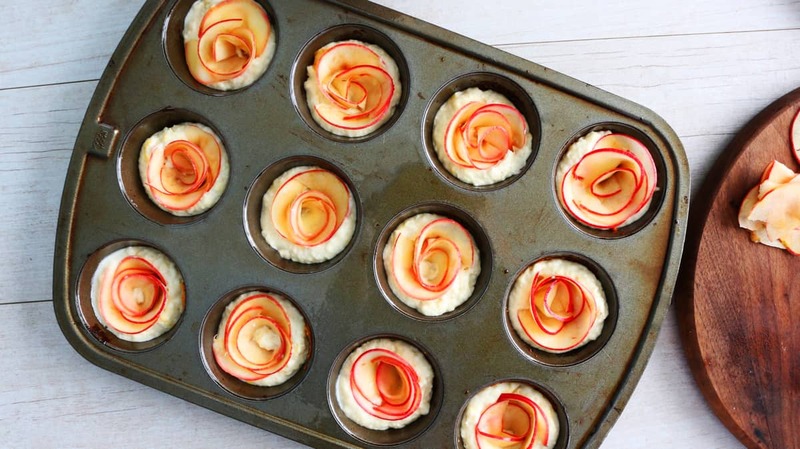 Whip up your favorite pancake batter, spoon into muffin pan, place rolled apple slices in the middle and bake. How simple was that? 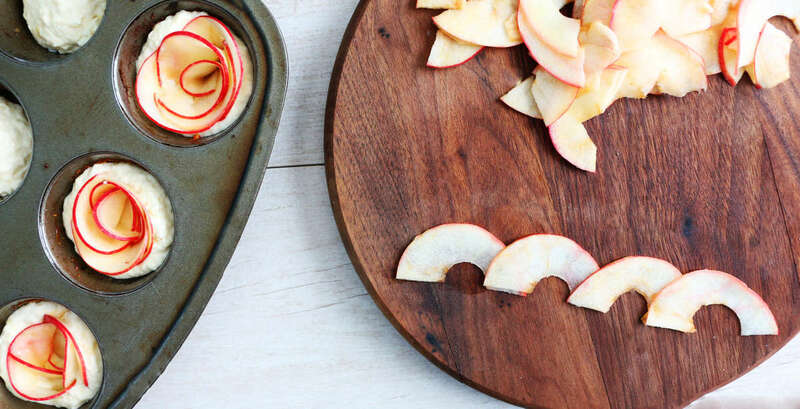 Ok, the rolling of apple slices might not be the easiest, but you’ll certainly get the hang of it once you make a couple of them. 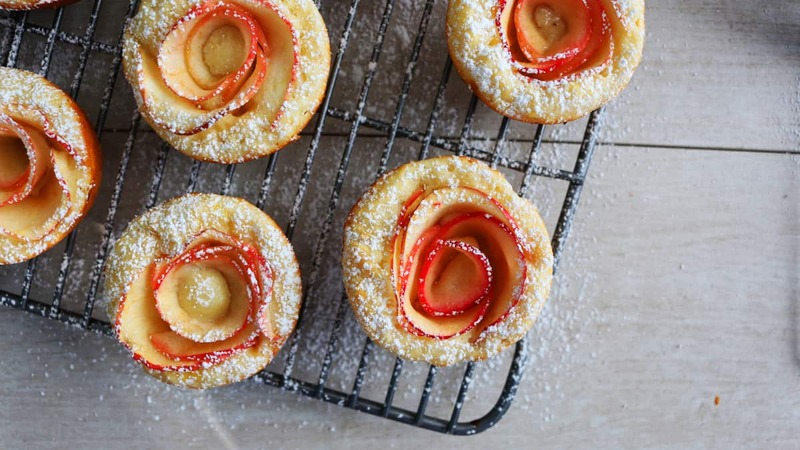 If you are on Pinterest then you probably need no introduction to apple roses. 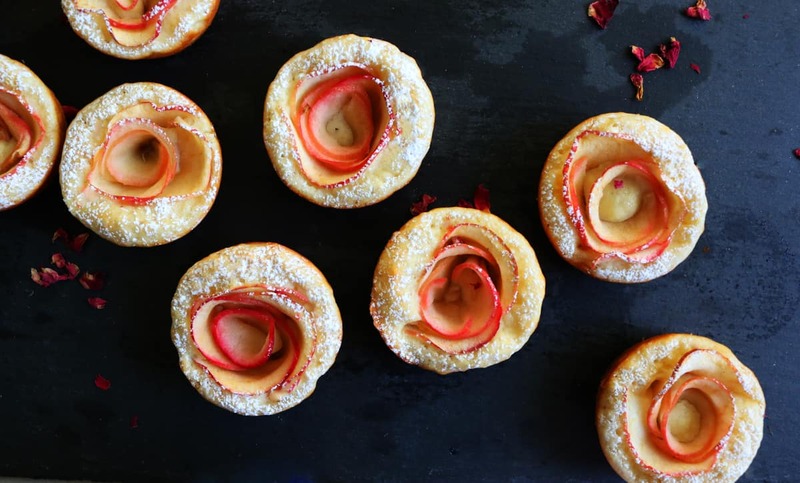 They are sliced apples rolled in puff pastry sheets and baked in a muffin pan, that look like adorable roses when baked. How cute were those? I was mesmerized when I set my eyes on them the first time. Such a genius idea!!!! What in the world are apple pancake cups? They are your plain old pancakes baked in a muffin pan instead of cooking in a skillet and then some sliced apples rolled and tucked in. These are so cute for valentines day that would impress anyone yet its just a pancake. Kids would go crazy for these. Mine and all their friends did:) It’s handheld … and thats always a winner! —slice apple, microwave, wrap plate with kitchen towel and let stand until you make the pancake batter. 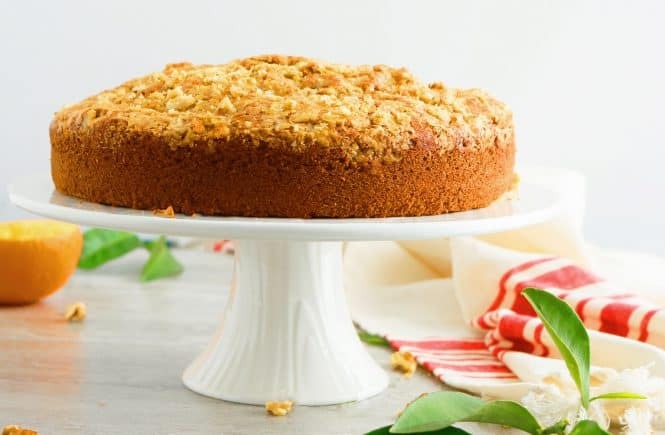 This will make the slices pliable to work with. —If you own a mandolin, then this is good time to get it out. It certainly makes thin slicing a breeze. But, a knife works well too. Preheat oven to 400 degrees. Spray a 12-cup standard muffin pan with non-stick cooking spray and set aside. 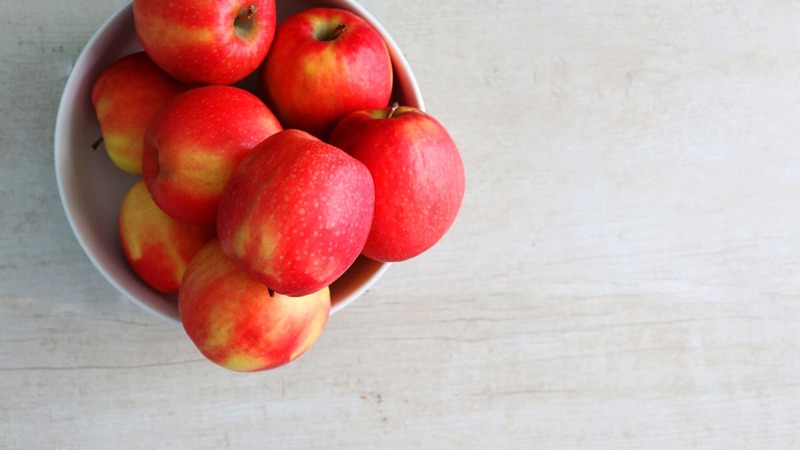 Wash apples, slices in half, core and slice very thin (a mandolin comes in handy or just slice with a sharp knife). Place them in a microwavable dinner plate (spreading evenly) and microwave for 40 seconds. Wrap plate tightly with a clean kitchen towel. Let stand until you prepare pancake batter (this will make the apple slices pliable to be rolled). 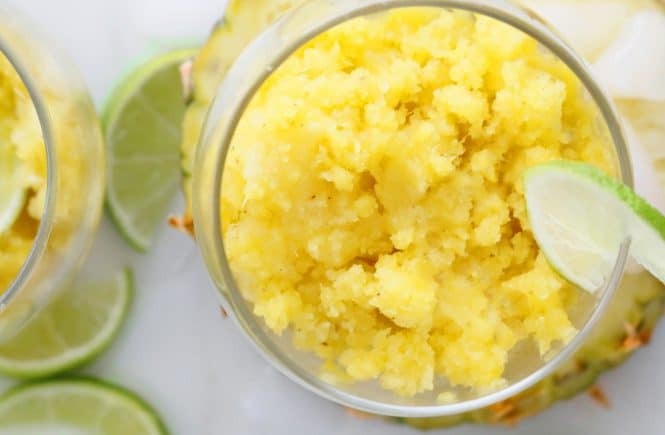 Spoon about 2 tablespoons batter into each muffin cup. 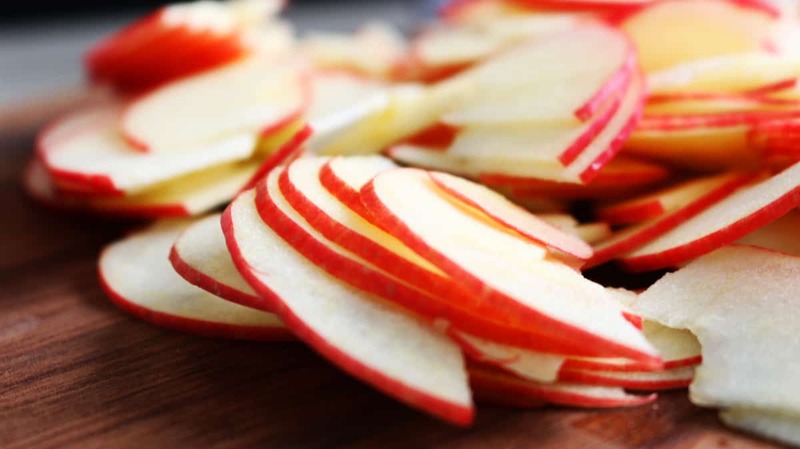 On a work surface, place 4 0r 5 apple slices, overlapping slightly in a single row (refer pictures) and roll them loosely. 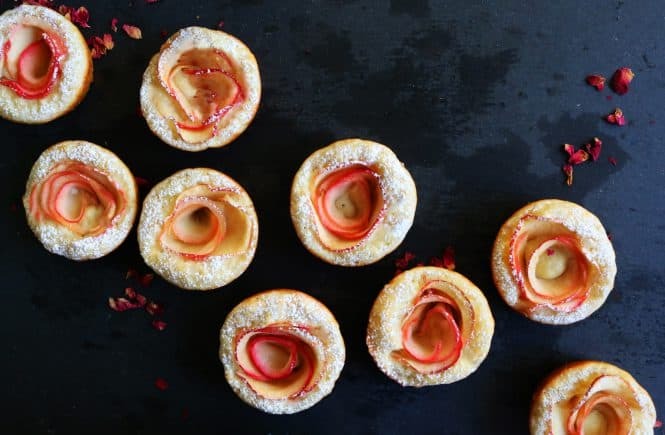 Place the rolled apple slices into the batter (skin side up) , pressing into the batter and spreading the top part of the petals slightly (to make it look more like a rose, refer pictures). Repeat with remaining cups, bake for 12-14 minutes or until a toothpick inserted in the middle of a cup comes clean. Place pan on a wire rack to cool. Dust cups with confectioners sugar if desired. Serve warm or at room temperature with maple syrup. Aww..appreciate your kind words, Kristina. These look fabulous! I love pancakes of every type and these look extra fun because of the muffin shape. My husband will go cray cray for these. I can’t wait to try them. These are absolutely stunning! 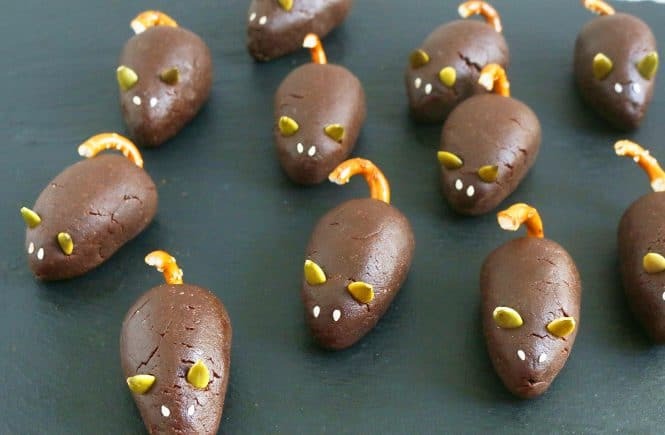 So creative and I bet they are yummy as well.